Tranquility has settled into Pacific Park Gallery, 1957 Thompson Rd., with the art of Pat Cink, Paula Reis and Pat Snyder. Each artist brings their own spirit to their work through the use of different media, yet the emotional statement is drawn from tranquility of Oregon’s iconic coastline and the harvest of its pure air, water and unique light. Patricia J. Cink is featured in the Salon and Atrium spaces with more than 30 watercolor on Yupo and soft pastel paintings. The Bandon artist is a transplant from the Midwest where she developed her technical skills that have combined with her inner struggle for tranquility to explore coastal light playing with the rocky shores, dancing around still life paintings and inviting the viewer into area parks. The works represent the Coast from Brookings to Florence. 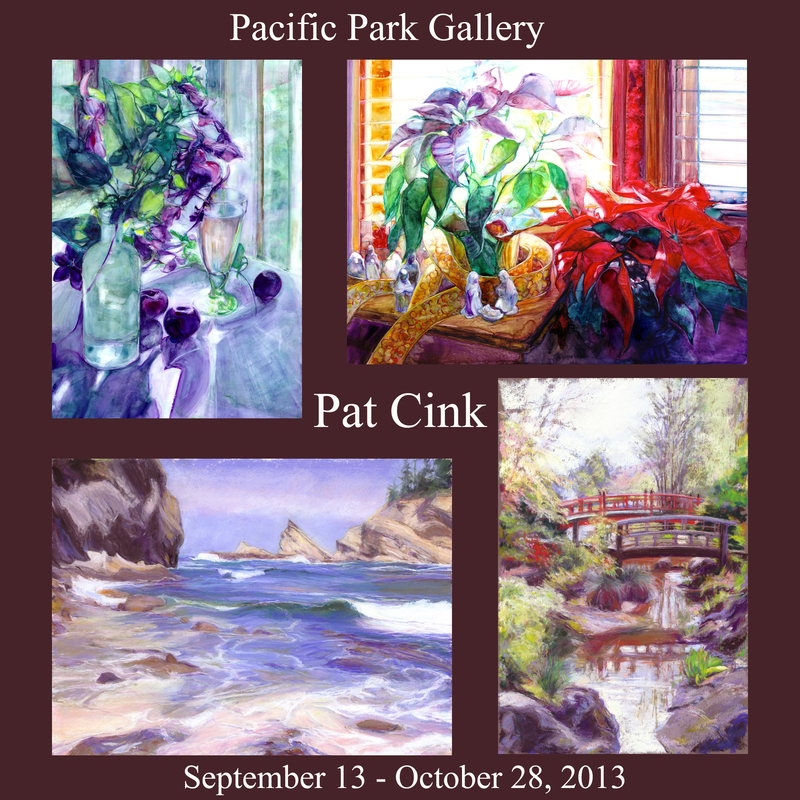 For more information about Pacific Park Gallery and a slide show of the gallery paintings, go to http://onemorereasontosmile.com/pat-cink-ron-carol-miranda-and-pat-snyder-september-2013/.